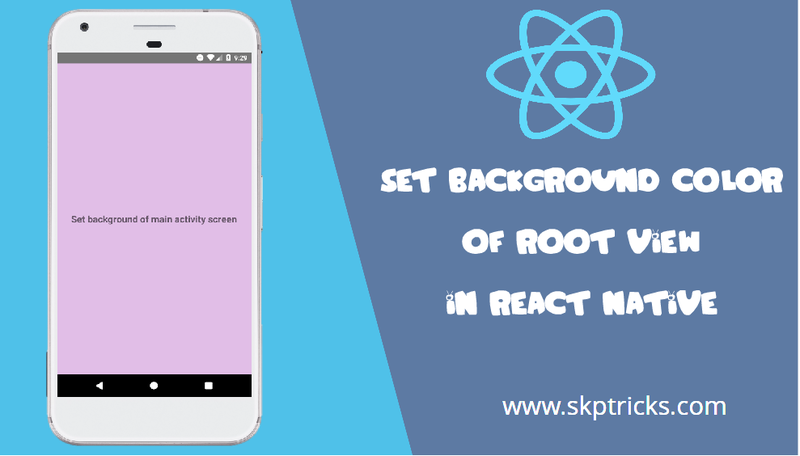 This post explains how to set or change background color of RootView in React Native application using CSS stylesheet design. 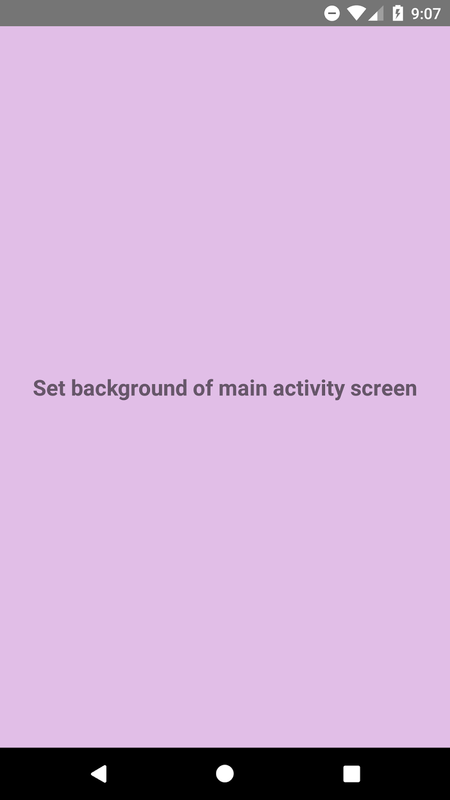 You can change the background of main activity/screen, by specifying backgroundColor attribute of stylesheet design in parent view layout (or RoorView) . This will make App’s starting screen look and feel better. Lets follow the below steps to change background color of RootView in react native application. Step-4 : Implement render method and return child component wrapped by root View component.Specify the background color attribute of stylesheet design in root view with the help of style prop. Step-5 : Apply the below style sheet design and that helps to change background color. 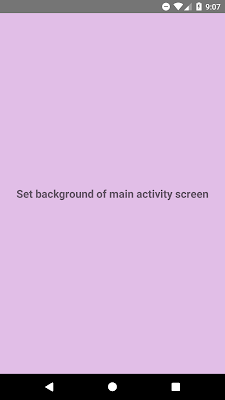 Lets see the complete source code that helps to change background color of root or parent view in react native application. This is all about changing background color of react native application. Thank you for reading this article, and if you have any problem, have a another better useful solution about this article, please write message in the comment section.